News of Tyga and Kylie Jenner ending their months-long relationship shocked some people, confused others and pleased many more. Some fans wanted my opinion on the whole romantic saga – and here is it, in two simple views. First, I think the whole celebrity romance thing, with bouts of sentimental bliss interspersed with breakups or temporary halts, is overrated and over-reported. Don’t get me wrong, though. As a comedian, I love these stories because they are, well, inspirational and provide fodder for jokes. So keep them coming, celebrity lovers! 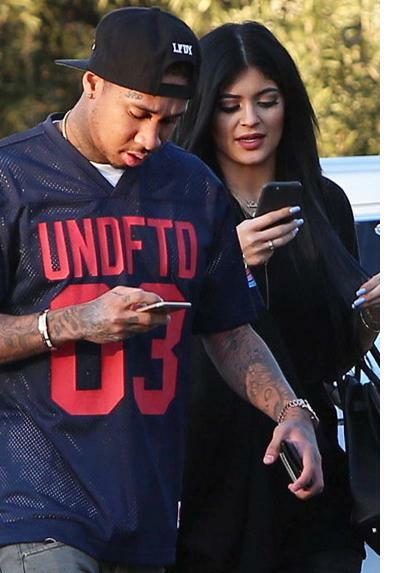 Second, I wonder if Tyga actually got out of the relationship before being destroyed by the Kardashian machine. I have nothing against Kim and her relatives, but one has to wonder why every man – and I mean every man – who crosses their paths ends up fading from the public view and descending into existential oblivion. These guys either have to grapple with some serious life condition or struggle with drug or alcohol. Again, I’m just asking – not pointing an accusatory finger at anyone. For example, what happened to Kris Humphries, the 30-year old Washington Wizards power forward who dated and married Kim Kardashian in 2011, only to divorce her 72 days later? Now he seems to be less known for his athletic prowess on the court than the lengthy legal battle he had with Kim, not to mention media allegations that the marriage was simply a publicity stunt for financial gain. What about Reggie Bush, the San Francisco 49ers running back? He enjoyed commendable rushing, receiving and returning stats a few years ago, but is now struggling to regain his sportsman vigor and allure. I’m not even going to talk about the Lamar Odom drug overdose episode. The man has suffered enough, emotionally and physically (not to mention financially), that I would not add oil on still fresh fire. I know what you are thinking…What about Kanye? Well my answer is simple: Kanye was already crazy before he met the Kardashians, so chances are, he fits perfectly in the family. And don’t get me started on Bruce Jenner. I’m not against transgender orientation – or any kind of sexual proclivity, for that matter – but shouldn’t we have some rules that regulate this sort of behavior? Something like, “If you reach 40 years of age, and have kids and grandkids, and are almost at the end, you can’t give up and switch that late.” Imagine the confusion when it comes to father’s day, mother’s day, etc.? My point is simple: sometimes difficulty precedes joy and existential bliss. Some of you might think that Tyga lost a precious woman – but what if, now that he is “released” from the Kardashian-Jenner machine, he is actually “saved” and could aspire to a better life and a more fulfilling career? Choriny Bernadi Mbeche (born June 24, 1975), known by his stage name Ed Blaze, is a Tanzanian-born comedian, author and promoter. After landing small stand-up comedy jobs in the 2000s, he decided to pursue his entertainment dreams and to walk in the footsteps of his role models, including Chris Rock, Dave Chappelle, Bill Cosby, Eddie Murphy, Louis C.K. and Dave Allen. He has a passion for helping charity, and believes that comedy is a healing force for people all over the world, regardless of background.